Children’s Health Center has moved, and RX for Reading moved with them! One of our very first RX for Reading Clinic Libraries has moved! Children’s Health Center, part of Advantage Health Centers, is now located inside the Waller Health Center in midtown Detroit. CHC provides high-quality health care to under- and uninsured patients, offering care to children and their families. CHC staff physician, Erin Walton-Doyle, MD, is board-certified in both Pediatrics and Internal Medicine. Dr. Walton-Doyle knows, reading is essential to children’s health! 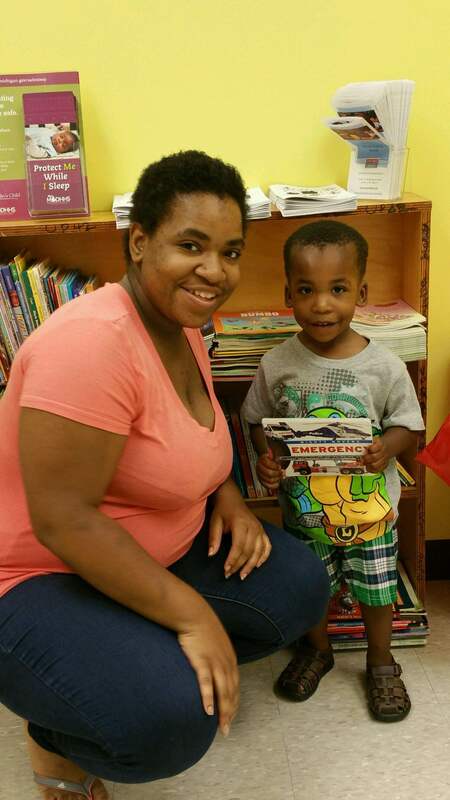 When the Children’s Health Center moved they packed up the RX for Reading Library and took it with them. We just replenished the library with another 365 books so their pediatric patients can continue to pick out a book to take home at every single checkup. Thank you to Dr. Walton-Doyle, the CHC staff, and all the kids and families at Children’s Health Center! ← Thank you, Girl Scout Junior Troop 40001!